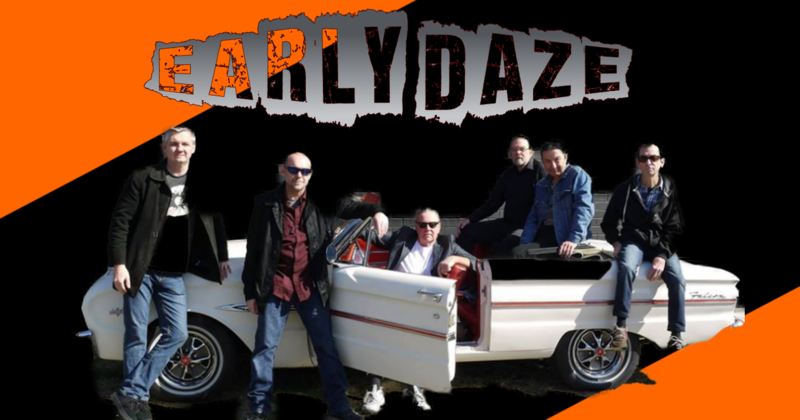 EarlyDaze is a rock band comprised of 6 cranky old bastards (possibly entering the “early days” of dementia), most of whom have been kicking around the Newcastle music scene since the 70s. Like a phoenix rising from the ashes of such notable outfits as Inna Magic, MI5, D-Flex and Trout, EarlyDaze is here to bash out a great selection of rock that will get both the young and the young at heart up on the dance floor and singing along. While playing all your favourites from such prominent Aussie artists as The Angels, Dragon, Cold Chisel, Noiseworks, Jimmy Barnes, INXS and Mental as Anything, EarlyDaze like to throw some older numbers into the mix from the likes of Elvis, Roy Orbison, The Beatles and The Stones. They’ve got something for everybody.